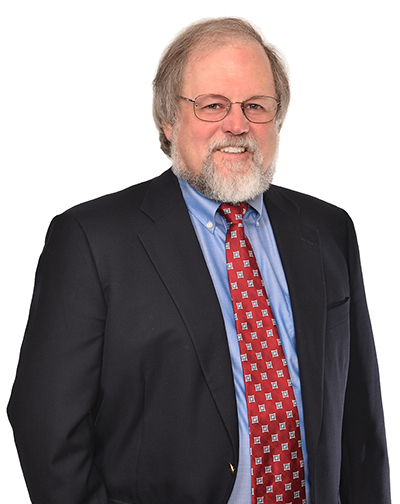 Keith E. George Shareholder | Washington, D.C.
Keith George, a shareholder, focuses on patent matters, including patent drafting and prosecution, client counseling and due diligence analysis on issues of patentability, validity and infringement. Keith provides strategic counseling in the development of patent portfolios, both for defensive purposes and for potential enforcement, for clients ranging from startups to large conglomerates. His patent experience includes several years as an examiner at the Patent Office and over two decades in private practice working on behalf of US and multi-national corporations. A number of patents Keith worked on have been the subject of enforcement litigations. Keith’s technical experience encompasses wireless and landline digital networks, protocols and services, free-space and fiber based optical communications, video encoding and transport protocols, networks for access to the Internet and systems for voice telephone service over the Internet, telephone networks and service features, business methods implemented using computers and networks, lighting devices, lighting systems and networks, and optical electrical transducers. A patent is a property right, much like a piece of real estate. Acquiring a patent is a business expense, the same as acquiring any other asset. The expense is justified only if the patent deed provides strong coverage for a technological innovation that the protection of which may help the financial goals of the business. The perspective provided by Keith’s extensive and diverse experience enables him to help clients navigate the patent landscape, particularly to develop strong patent assets.